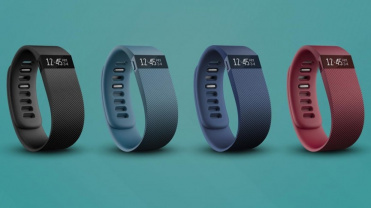 Fitbit recently presented to the world its newest pair of new fitness trackers: the Fitbit Charge and its bigger brother, the Fitbit Charge HR. The new activity bands are a natural upgrade to the Fitbit Flex, and it's the non-heart rate sensing version that we're running the rule over in this review. Take a look how we got on…. 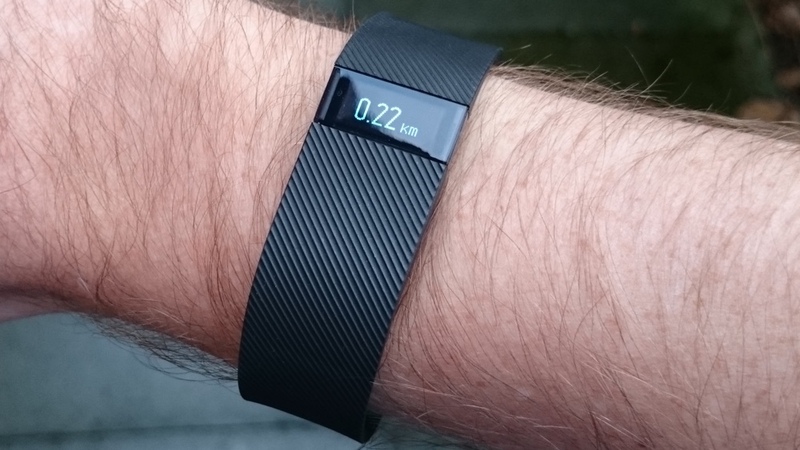 “Use the Force" is a much overdone phrase at the moment with the new Star Wars trailer getting everyone all Jedi-hyped but it seems Fitbit took the advice of Obi-Wan literally by taking the recalled Fitbit Force, adding a new band and a couple of extra features, and presenting it as the all new Fitbit Charge. In fact, when you pair the Charge with an Android device, Google's OS recognises it as 'Force' leading us to believe Fitbit had a few spare hardware modules it needed to use up. In case you're unfamiliar with the troubled tale of the Force, allow us to get you up to speed: it was discontinued earlier this year after it was found to cause a nasty skin irritation for some users. But don't worry as there's no danger of catching scurvy or having your arm fall off with the Fitbit Charge, as it comes wrapped in a flexible, durable elastomer material similar to that used in many sports watches. We've had ours on for a week or so and our wrist, we're happy to report, is scab free. The new strap is textured as opposed to the matte finish of the Force but apart from that it is near identical. That's not a bad thing as the Force and, as such, the Charge is a nice looking tracker – albeit one with a bit more heft than the likes of the Fitbit Flex, the Garmin Vivosmart and the Jawbone UP3 – as it's 21mm wide. But it's comfy to wear (coming in two sizes) and is hardly heavy at under 23g. The big step up from the Flex is the inclusion of a small, monochrome, OLED display – again, sounding like a broken record, the same one we saw on the Force. It's clear enough and hold up fairly well under bright lights but it does look a tad plastic and, dare we say it, cheap if you look at it up closely. 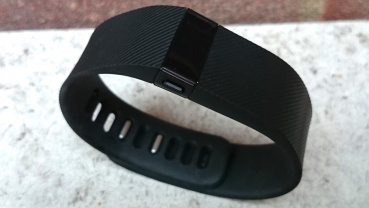 The Fitbit Charge OLED display doesn't extend to smartwatch notifications as per the upcoming Fitbit Surge; its only smartphone syncing skill is caller ID for incoming calls. It's kind of handy, we suppose, for having a quick glance of who's trying to reach you but it's hardly a notable inclusion – surely Fitbit could have thrown in (at least) basic notifications like texts and emails without hiking the £99.99 / $129.95 price up too much. The display is great for giving you an overview of your activity though – you wake it up by either tapping (firmly, we must say) the area below it or by pushing the button on the side. For each press of the button you're presented a new screen giving you a breakdown of your daily activities, which we'll touch on, in more detail next. Within the app, you can play around with what's on show with the display – changing things like the clock type and the order of the displays. There's no setting for a watch mode, where the time would stay on all the time, or an option to have the time appear when you flick your wrist upwards – a la Android Wear – which is a shame as it makes telling the time on the Charge quite a laborious affair. The Fitbit charge tracks regular activities like steps, distance travelled, calories burned, floors climbed and very active minutes. There's also sleep monitoring and the sleep tracking kicks in automatically (unlike the Flex which required a manual sleep command) and there's a vibration-based silent alarm on offer too. The OLED display will give you your stats in real-time, as discussed and within the app you can change things like your target goals and the metrics than are most important to you. The Fitbit Charge devices sync to your smartphone app using Bluetooth 4.0, or your PC or Mac using a wireless dongle that comes in the box. We didn't have any bother syncing our Charge to either our phone or our Mac. The app is available on Windows Phone, iOS and Android and the data will also sync with the info from your Fitbit Aria Wi-Fi Scale, and brings in your data from your old Fitbit device. 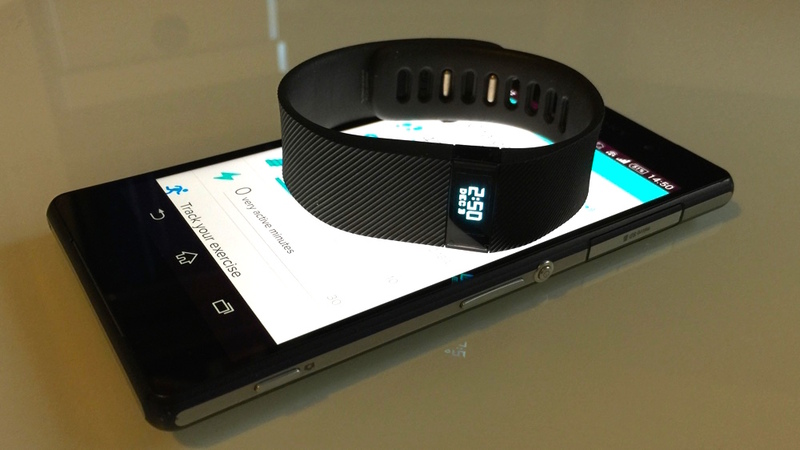 Both Charge bands tracks 7 days of detailed motion data – minute by minute – and keep daily totals for the past 30 days. We tested the Charge alongside its older brother the Flex, with distances and steps pretty much on a par. Like any fitness tracker that bases its calculations on an accelerometer and an algorithm, the recordings are intended as a guide rather than an exact science. Unlike the forthcoming Jawbone UP3, activities and individual sports aren't detected by the band itself, so you'll need to go into the app and manually assign sports to your active minutes. 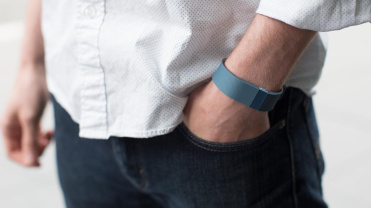 There's no GPS on board the Charge, as per the Microsoft Band – and, as you probably guessed, there's no heart rate monitoring either as that's what the HR in Charge HR stands for. 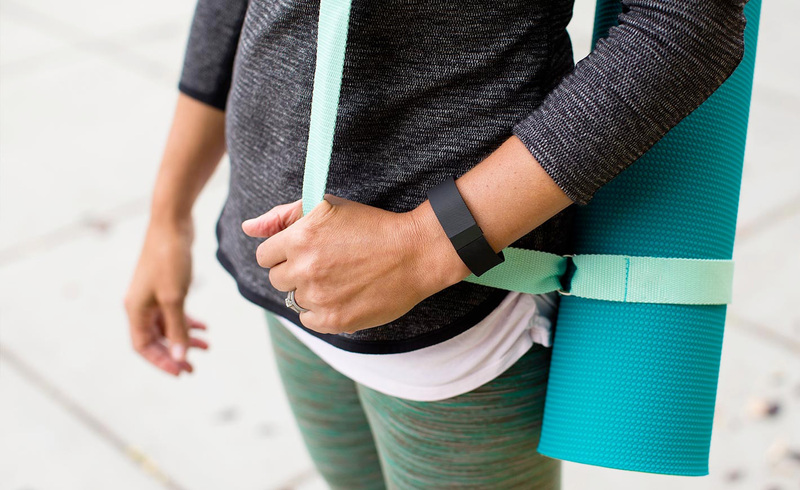 The first thing you'll do is sync your new Charge to the Fitbit app – the same app you'll already be using for any other Fitbit device. Any other Fitbit device you'll have to forget, that is – the app can't handle more than one tracker at a time and you'll have to delete your existing Flex, for example, before you can pair your Charge. That seems a bit daft as wearables, especially ones that attempt to be fashion conscious like Fitbit's, are surely meant to be chop-and-changeable. It seems a bit restrictive to only be allowed to use one at a time. The Fitbit app lets you see progress, record workouts, share and compete with your friends, log your food intake and earn badges based on your activity achievements. There's nothing new here for Fitbit users to get excited about and, although it's a decent enough app, it would have been nice to see some extra features added for the new device. You charge the Fitbit using a magnetic clasp that's on the end of a Micro USB cable. Yep, another cable for your collection. Charging is done within a couple of hours and you can then expect a life cycle of around five to seven days. The Fitbit Charge is 1ATM water-resistant, meaning you'll be alright in the shower but don't wear it in the bath or a pool. That does, of course, put it at a disadvantage to the cheaper Misfit Flash when it comes to tracking activity in the water. 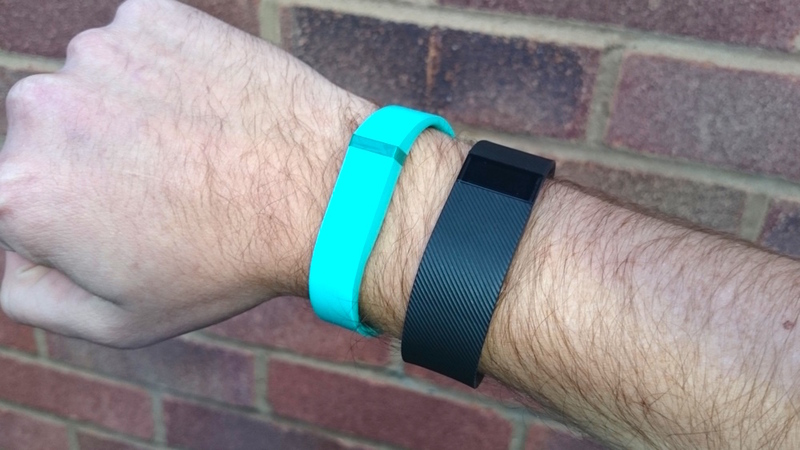 The Fitbit Charge is a decent fitness tracker in its own right but feels somewhat confused with the Fitbit family. You get the impression that, if the skin irritation problems hadn’t occurred with the Force, we’d simply be waiting for the flagship Charge HR to land with no regular Charge on the menu. 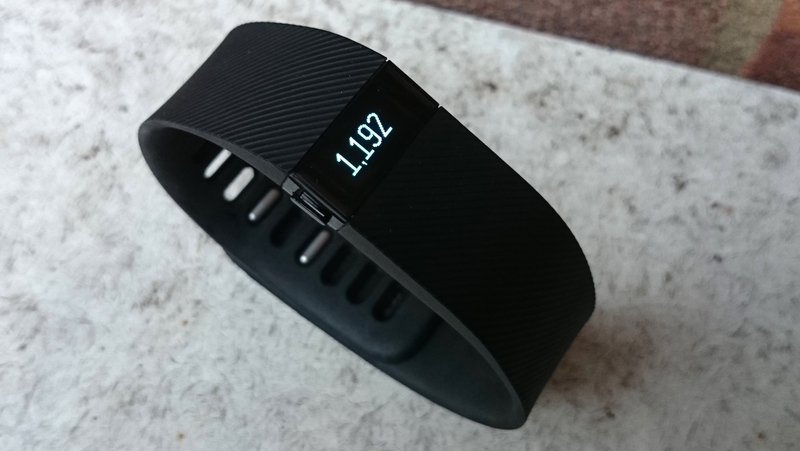 The timing is just a little off and its price-tag doesn’t really do anything to set it apart from the mid-level Fitbit Flex. And with 24/7 heart rate monitoring on offer with the Charge HR for just £20 / $20 extra early next year – our advice would be to wait for Fitbit’s top dog to arrive.